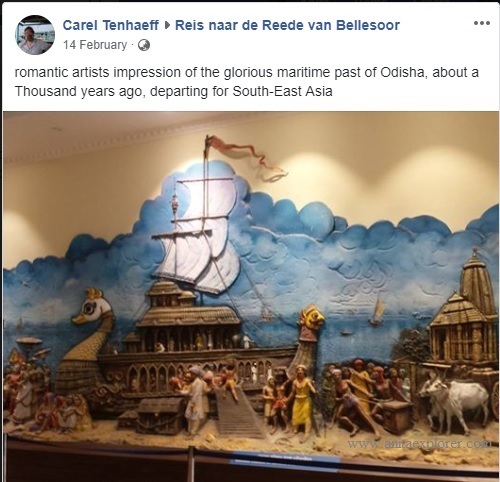 I was privileged to attend Dr. Carel Tenhaeff's lecture on the 'Shared Heritages of Odisha and Netherlands' in the National Archives, Bhubaneswar, on 12 February, 2019. 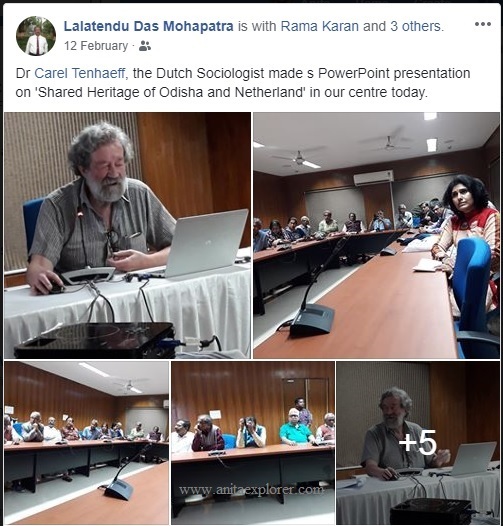 Dr. Tenhaeff's informative presentation presented the findings of his research-work over the years that greatly link Netherlands and Odisha. It was interesting to see the results of his field-trip to locate remains of the Dutch in Baleswar district of Odisha. 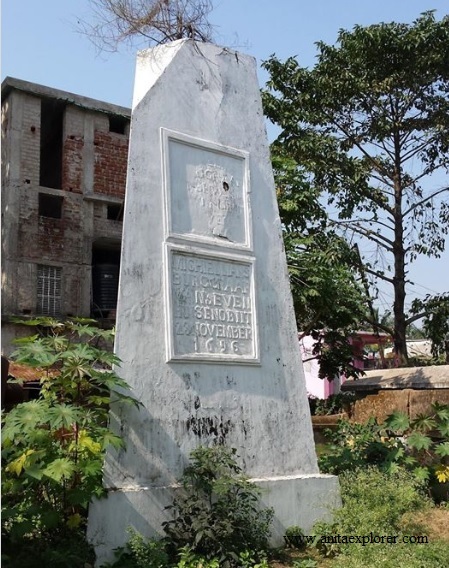 In Baleswar town, there are two obelisks and a canal dug to connect the company building with the river. 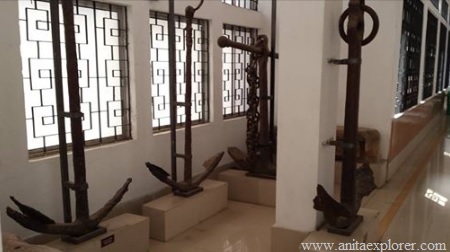 The anchors from the Dutch colonial days have been preserved in the Odisha State Museum. The three anchors at the back are from Balaramgadi, situated by the sea close to Baleswar. Baleswar contributed a lot to the exports from Odisha to Netherlands. Up to 1881, Baleswar was an important town. After that, it lost its prominence when the British shifted the harbour to Chandbali, with a steamer service to Calcutta and a railway service to Nagpur. 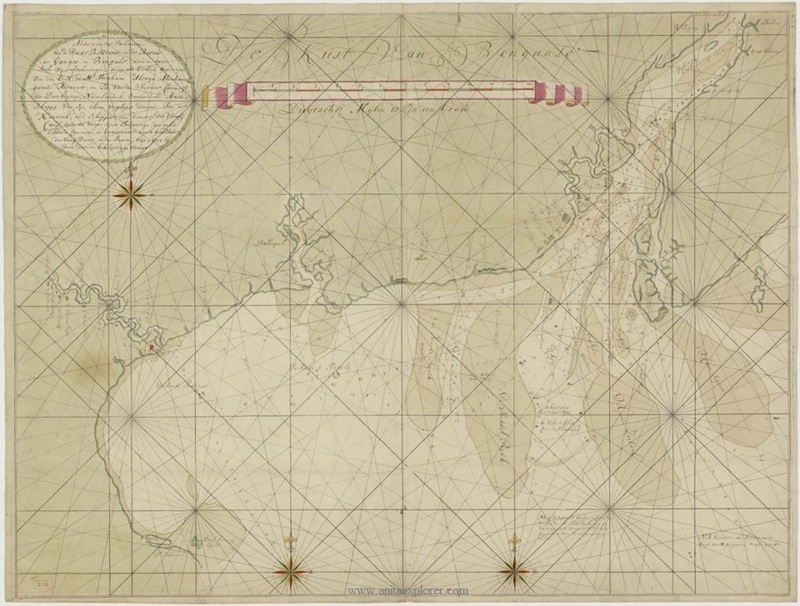 "Bellesoor is located on the river left on the map; the big river on the right runs via Kolkata (Calcutta) to the Ganges. The Map above comes from the 7th century and is called "the reede of bellesoor" (Baleshwar), a town in Odisha where the sheds went on board and goods were shipped from and to the Ganges." 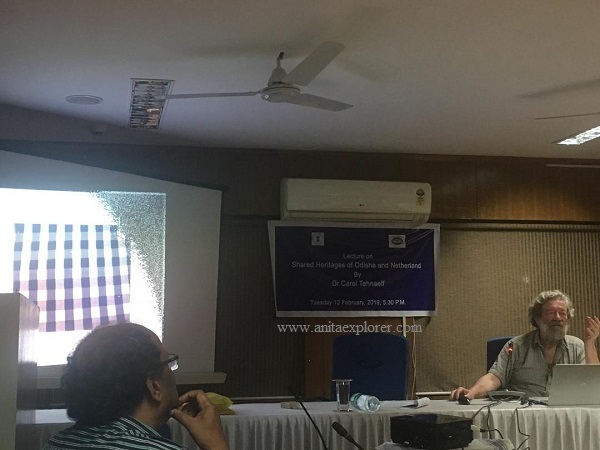 Dr.Tenhaeff informed that Odisha was very famous for the great quality handloom cloth that was much in demand and hence formed a major part of the exports. 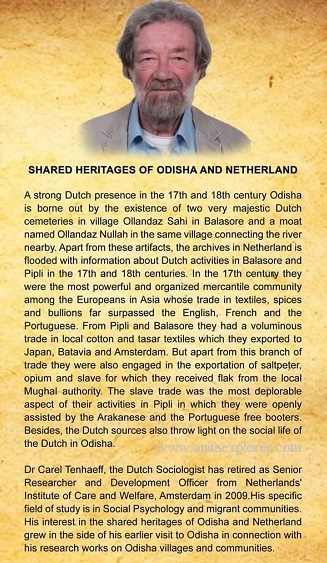 For me, this was an eye-opener as I was not aware of so many facts about the shared heritage and the huge amount of exports to Netherlands that Odisha has contributed. The audience learned a lot thanks to Dr. Tenhaeff. More such events should be held to enlighten the public.